I hope everyone had a great Labor Day Weekend! To celebrate I've decided to do a one of my favorite desserts. I love this recipe because its so versatile. 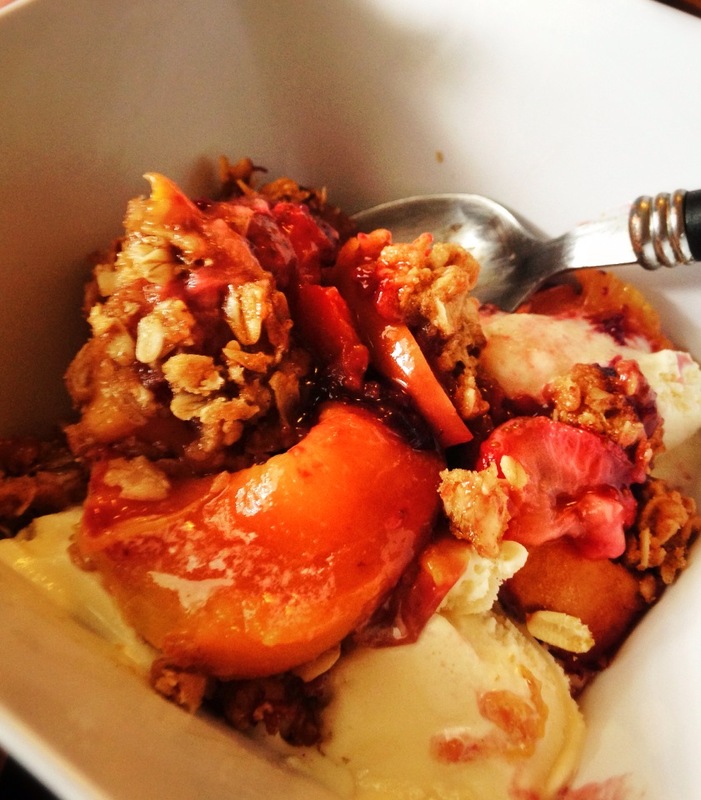 Just add in some seasonal fruit, a simple crumble topping and stick it in the oven. 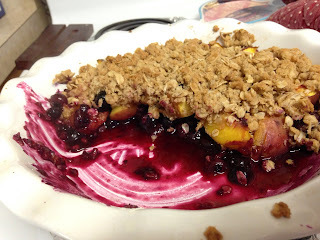 I've been buying the ripe fruit that's on sale and using them in crumble's the past few weeks. I'm excited for apple season to come so that I can make this as a fall dish. 1. Cut up fruit and toss in a baking/pie dish with 1 T of flour. 2. In a medium size bowl mix 1/4 c flour, rolled oats, brown sugar, cinnamon, and butter with hands. 3. Pour crumble topping over fruit. 4. Bake for 40-45 min at 350 degrees until topping is brown and fruit juices are bubbling. Serve over ice cream and enjoy!